Transfer to Thekkady. Sights on the way: [Periyarkanl Water falls, Tea Plantations, Lockhart Gap View point, Cardamom & coffee Plantations At Thekkady: Kathakali Show, Have Ayurvedic massage etc…]Enjoy overnight in Thekkady. 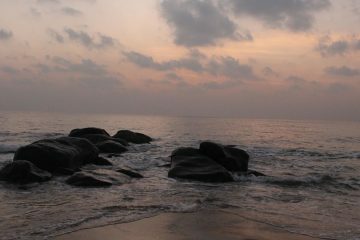 Transfer to Alleppey(180km, 5 hours). 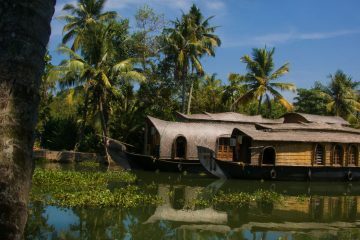 Visit Temples & Churches Take a motor boat ride and walk through village, Day Cruise. Relax overnight at Resort \ Hotel. . Transfer to Cochin, Sightseeing around Cochin. [Dutch palace, Santa Cruz basilica, Vasco House, St. Francis Church, Jewish Synagogue, Jew Town, Chinese Fishing Nets, Marine Drive, Boating etc.] Drop to Airport\departure point. Hi, we took the honey moon package offered by Musafir Tours. It was fantastic. The staff are very helpful. 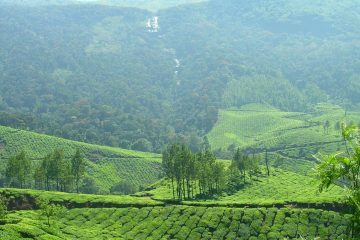 The trip was hassle free as the transport from cochin , sight seeing at munnar was part of the package. The day on the house boat at Aellepy ( part of the package) was a fantastic experience. I felt i got my moneys worth. Would recommend them if you are planning to honey moon in Kerala.